At the QUARTER we can provide bespoke catering packages to suit your requirements. We freshly source and prepare all of our food and can package or present this to use at your event, meeting or party. We can put together as price per head package that is individual to you and then multiply this up to the number of people in attendance. This can then be delivered to you or you can organise collection. Depending on the package you require and the total cost we would require a £5.00 per person or 10% deposit. This would be discussed on booking. We can provide off site buffets, deli bags, canapes, cupcakes, oatcakes and much more. We recommend you call in or contact us to discuss your needs. You can do this on 01782 286008 or by email thequartercafehanley@gmail.com or by communicating via social media. We have recently provided 2000 canapes for an event at Trentham Gradens, Deli Bags for 60 potters on a course at Potclays, buffets for the NHS and Waterplus for their recruitment events, canapes for a beauty salon make-up launch, filled oatcakes for a creative event at the local library, cocktails and canapes for the Culture Bid Submission and many similar events. On a smaller scale we provide and deliver working and corporate lunches for local businesses on a day to day basis. Each of these had a different requirement which we were able to meet and deliver to also. As an ongoing partnership we provide the cupcakes for each press night show launch at the Regent Theatre, we believe that working in conjunction with other businesses only strengthens the city centre. 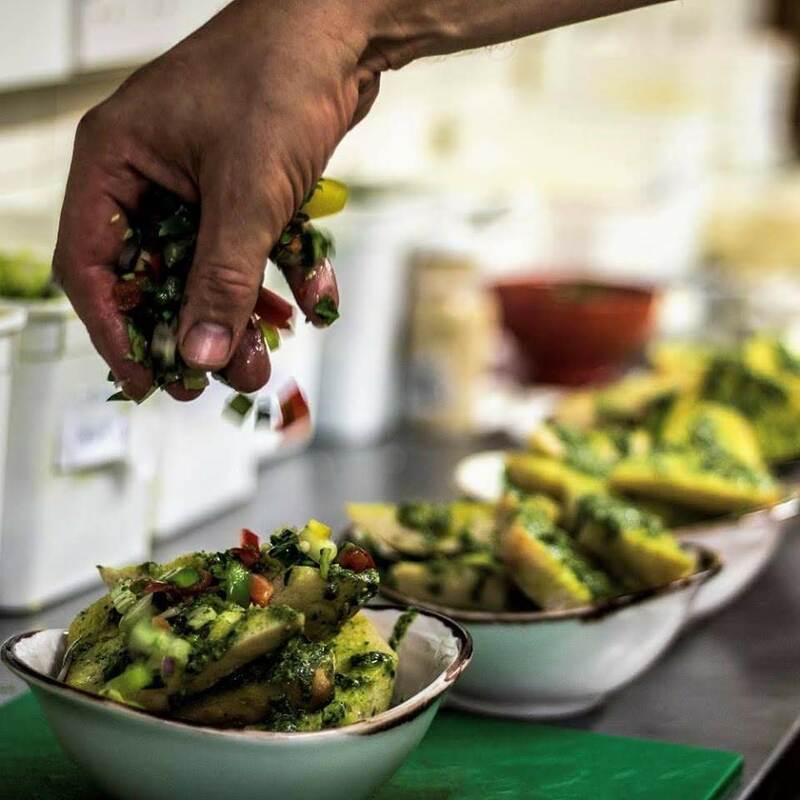 Catering and delivery is a fundamental part of what we do at the QUARTER, we don’t just host your event on site but can provide the food and resources out and about the city too. For more information call in to speak to us or get in touch on 01782 286008.